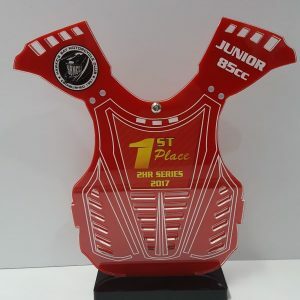 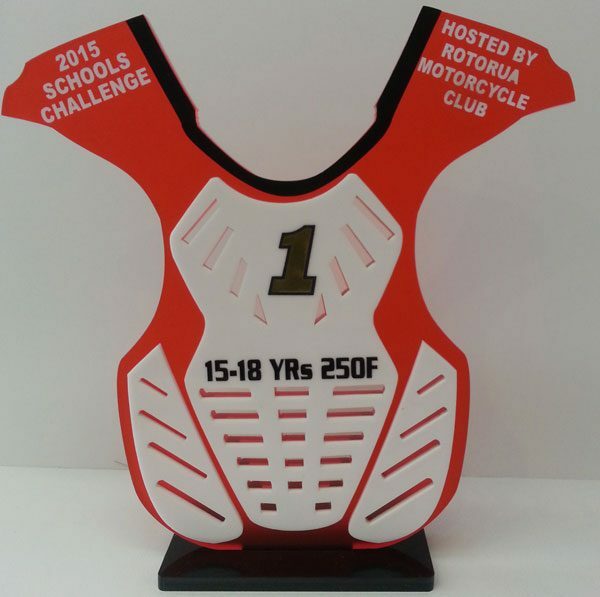 MX Body Armour Deluxe Trophy – Designed and made by us. 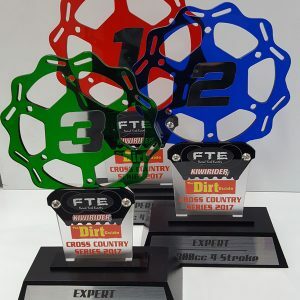 You will not find these trophies anywhere in the world. 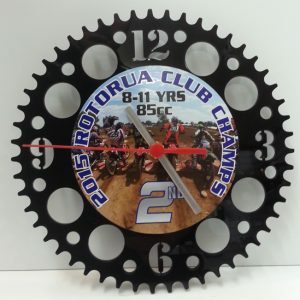 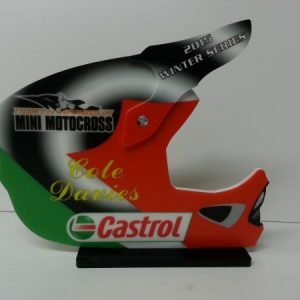 Price includes setup and engraving, full colour logos can be incorporated in the design with full colour including white (great for keeping the sponsors happy).